When I first heard of this film, it was in the making, and I was excited to know that yet another film was being made to raise awareness of the issue that is male infant circumcision, this time focusing on secular circumcision as it is performed by doctors on male infants in America. The first such film that I ever heard of and I followed was CUT: The Film, by Eliyahu Ungar-Sargon, which examines the subject of male circumcision from a religious, scientific and ethical perspective. 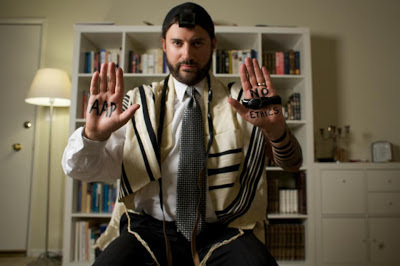 The particular thing about Eliyahu Ungar-Sargon is that grew up in an Orthodox Jewish home, and he criticizes the practice of male infant circumcision as a Jewish male. This time, the film "American Circumcision" is a film written by a secular, non-Jewish male, who criticizes male infant circumcision as it is practiced in America; 80% of American males are circumcised from birth, and they are overwhelmingly non-Jewish males circumcised at hospitals by doctors. When I first mentioned Brendon Marotta and his film to other intactivists, their reactions weren't very encouraging. "Oh that guy? He's been saying he has a film in the work for years. I wish him the best, but he keeps saying he's about to release his film every year and nothing." Something inside me told me that I should still root for this film, though I should not hold my breath. I joined the relevant groups on Facebook and even became friends with Brendon Marotta on there. Sure enough, updates that the film was "almost finished" always found their way on my news feed. I very recently joined Twitter, where I noticed there was a profile for Brendon, his film and every thing. As on Facebook, I kept seeing updates that the film was "almost finished," and that they were just getting ready to release it. Little by little, these updates began to blend in with the background as I started to tune them out. That is, until my eyes caught an update that not only was the film screened at the Lone Star Film Festival, "American Circumcision" won the Best Documentary Film Award!!! 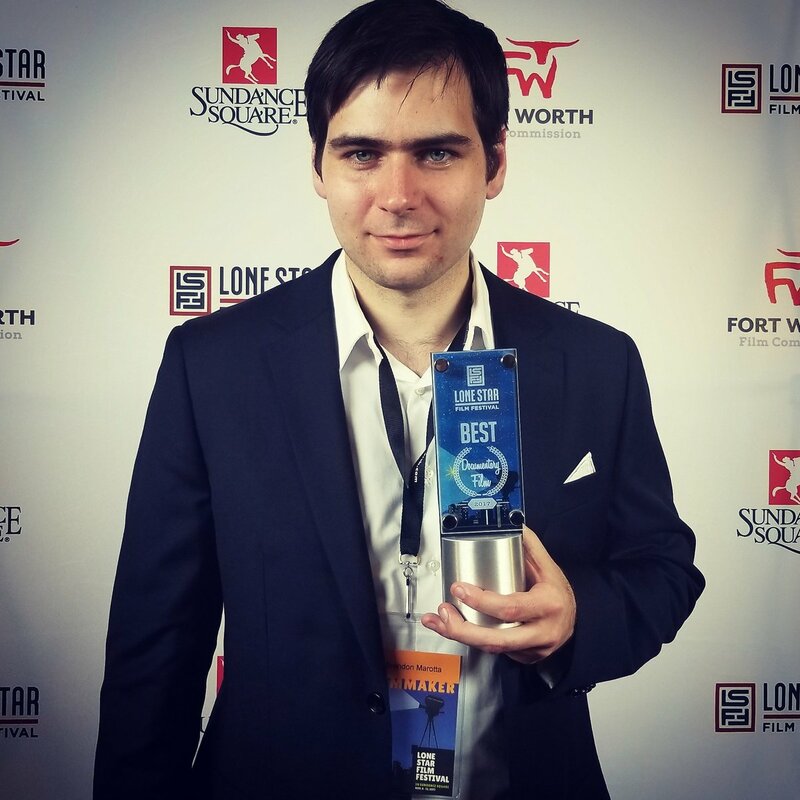 Brendon Marotta holding the Lone Star Film Festival Best Documentary Film Award. I couldn't believe my eyes. Could it be true? I waited for a little longer, and this news was followed by Tweet after Tweet of congratulations, and finally a personal note on his experience with the film's reception. The screening of @circmovie at #LSFF was truly incredible. People laughed at the right parts, cried deeply at others, and some even stood to applaud at the end. Full theater, great screening. That's when I decided this news warranted a blog post, especially since the film is scheduled to be screened again at the Social Justice Film Festival in Seattle, Washington, this Sunday, November 19th, appropriately International Men's Day. And so with this blog post I shout out to Brendon Marotta; congratulation on the completion of your film, and on receiving the Best Documentary Film Award. Your long hours of patient, hard work have paid off. I wish your film much success. May thousands be reached as a result of your work. Just as I logged onto Facebook today, I was notified that somebody tagged me in a post. 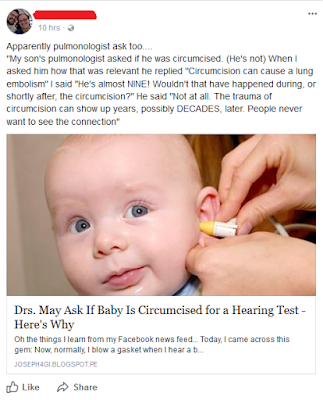 Apparently, somebody has referenced one of my blog posts and used it to reference yet another possible risk or complication of male infant circumcision. 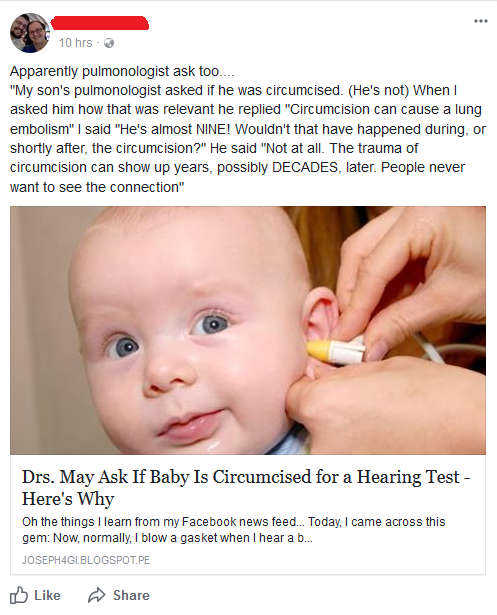 "My son's pulmonologist asked me if he was circumcised. 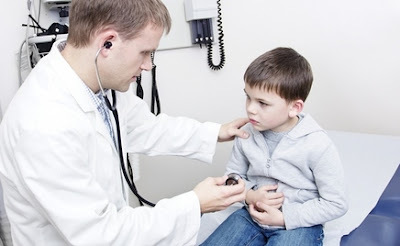 (He's not) When I asked him how that was relevant he replied "Circumcision can cause a lung embolism" I said "He's almost NINE! Wouldn't that have happened during, or sholtly after the circumcision?" He said "Not at all. The trauma of circumcision can show up years, possibly DECADES, later. People never want to see the connection." Of course, this is only from a post on Facebook and I need more sources to confirm that doctors are asking this, but the point is, this could be yet another adverse effect from an elective, non-medical procedure. One can only hope the AAP is keeping an eye out. And perhaps they are, but only to cover the backsides of their members, a great majority of whom profit from the procedure.